David Grann talks about how he first learned of the murders that inspired his book "Killers of the Flower Moon: The Osage Murders and the Birth of the FBI." Although the Osage tribe had been forced from their ancestral lands by the U.S. government, through shrewd and careful bargaining they retained the mineral rights to one of the richest oil fields in the world: Osage County, Oklahoma. But instead of insuring the prosperity and safety of the tribe, the wealth of the Osage made them targets for what was later known as the Reign of Terror. The task of solving dozens of murders fell in the 1920s to the newly formed FBI and its young director, J. Edgar Hoover. 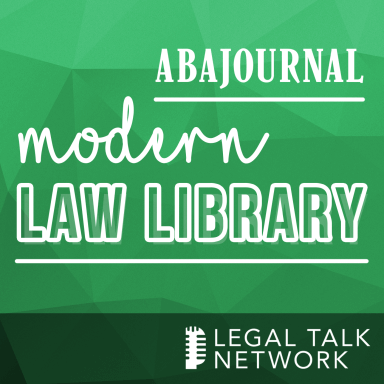 In this episode of the Modern Law Library, author David Grann tells the ABA Journal’s Lee Rawles how he first learned of this series of murders and decided to write Killers of the Flower Moon: The Osage Murders and the Birth of the FBI. He also discusses the brave Osage woman at the heart of his story, Mollie Burkhart, who defied the local white-dominated power structure to discover who was responsible for the deaths of her family members. Matt Strout discusses how the desire for quick technological fixes can compound the problems that technology was supposed to solve.